Dariusz Musial was born in Poland, but moved to Chicago in 1996 at the age of 31. Before he relocated to Chicago, he earned his Master’s of Law from the Silesian University School of Law, in Katowice, Poland. After law school, he joined the legal department of Prosynchem, Poland’s largest engineering and construction services company, in his home town of Gliwice. There, he negotiated and drafted civil engineering contracts involving domestic and foreign companies. In 1995 he participated in an acquisition of Prosynchem by Fluor Daniel, a California based global engineering and construction services company with more than 50 offices worldwide. From 1996 to 1997 he was employed as a legal assistant with prominent Chicago law firm, where he researched and wrote memorandums of law to assist businesses in registering their trademarks. In 1998 he served as a defensive driving instructor for Northwestern University’s Traffic Institute, teaching courses in both English and in Polish. In the same year he was admitted to John Marshall Law School. 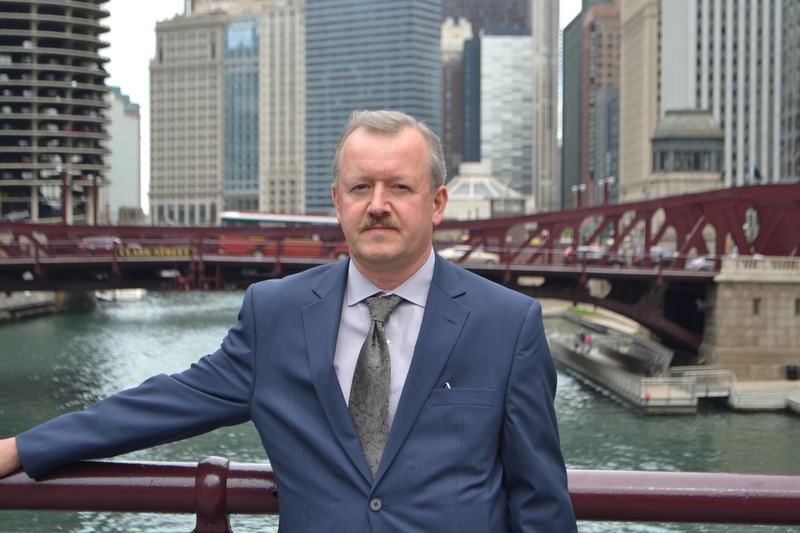 While in law school, Dariusz worked for the City of Chicago’s Law Department, as a prosecutor in the traffic division, trying traffic violations and negotiating plea agreements. In 2001, Dariusz earned his second law degree. 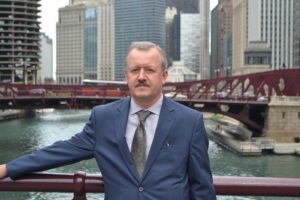 His negotiation skills learned while practicing law in Poland, combined with writing, communication and trial skills learned in Chicago as a legal assistant, defensive driving instructor and prosecutor, prepared him well for his next job. From 2002 to 2009 he was employed as an associate attorney with a general practice firm, representing injured employees before the Illinois Workers’ Compensation Commission, and clients in the buying and selling of residential real estate. Dariusz’ practice included taking countless depositions to trying cases, negotiating settlements and taking the fight to insurance companies. In 2010, Dariusz joined Goldstein Bender and Romanoff, where he continues his quest to obtain just compensation for injured employees when workers’ compensation insurance companies improperly deny them their rights. Early in his career Dariusz realized that representing disadvantaged individuals brings him greater satisfaction than representing big companies.